A growing number of Democrats have said they will refuse to nominate a new FBI director until the deputy attorney general appoints a special prosecutor to investigate potential ties between President Donald Trump's campaign and Russia. During an interview on Sunday on "State of the Union," CNN anchor Jake Tapper asked Senate Minority Leader Chuck Schumer if he supported the idea, floated by Senate Intelligence Committee vice chairman Mark Warner. 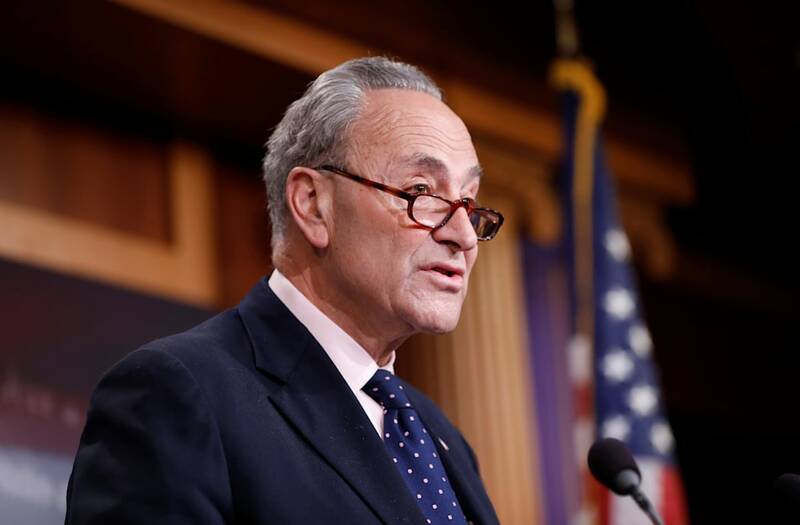 "I think there are a lot of Democrats who feel that way," Schumer said. "We'll have to discuss it as a caucus, but I would support that move." The New York senator said a special prosecutor would be able to investigate whether there were any attempts to thwart other existing investigations into Trump's ties to Russia. "People would breathe a sigh of relief because then there would be a real independent person overlooking the FBI director," Schumer said. "The key is to get some of our Republican colleagues to support it." Schumer and Warner aren't the only Democrats who have endorsed the idea in the wake of Trump's decision to fire former FBI director James Comey amid the escalating investigation into Trump's potential Russia ties. Speaking at the Common Good forum in New York on Friday, Sen. Kirsten Gillibrand said Trump's firing cast a dark shadow over the investigation, and she urged Republicans to "join in calling for an independent prosecutor in Trump campaign's connections with Russia." "I believe that we should not actually vote on an FBI Director replacement until there is a special prosecutor," Gillibrand said. "I think it's really important. Because what is happening is a subversion of justice." Deputy Attorney General Rod Rosenstein could appoint a special counsel, who could subpoena documents and potentially seek criminal charges, but could still be fired by the president. An NBC/Wall Street Journal poll released Sunday morning found that 78% of Americans want a special prosecutor or independent commission to take over the Russia investigation, while just 15% said Congress could handle it. But Republicans have yet to get onboard. GOP leaders in Congress, including House Speaker Paul Ryan and Senate Majority Leader Mitch McConnell, have resisted appointing their own special counsel or commission to investigate, saying ongoing investigations within the FBI and House and Senate committees into Russia's attempt to influence the 2016 election were enough. "I think the intelligence committees are the ones that should do this, because, don't forget that the methods and sources of our intelligence gathering are also at play here, and we have to be very sensitive so that we don't compromise that information as well," Ryan told Fox News this week, referencing Trump's complaints about leaks of information from law enforcement and intelligence agencies.